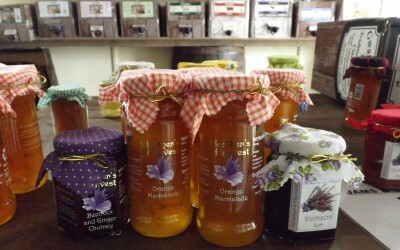 Abbey Dore Farm Shop is the hub of our farm. Our range of around 35 ciders and perries are available on draught in our own-branded flagons or 1 or 4-pint containers or in bottle, either singularly or by the case. We also sell 10 and 20 litre Bag in Boxes which come with their own integral tap. 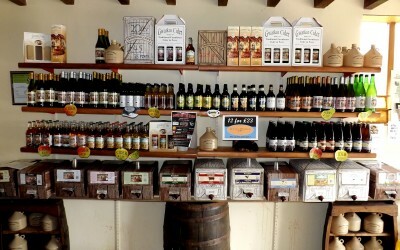 The farm shop also stocks a range of bottled local beers. 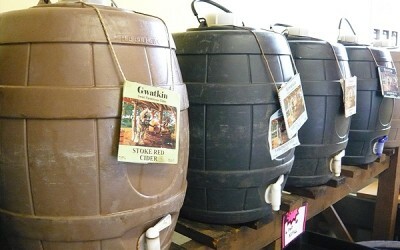 The famous Gwatkin Cider T-Shirts are also available as well as glassware. Please note we are unable to take card payments at the shop. Pop in any time, CLICK HERE for directions. 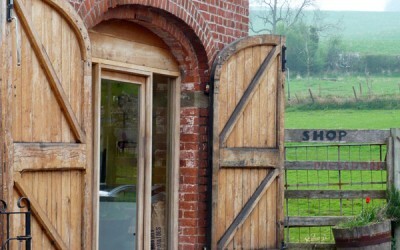 We are a small, family run business, based at Moorhampton Park Farm in Abbey Dore, Herefordshire. Not only is it a working farm, but it’s also our home. As well as keeping livestock we also own apple and pear orchards that supply us with the fruit needed to make our cider and perry. 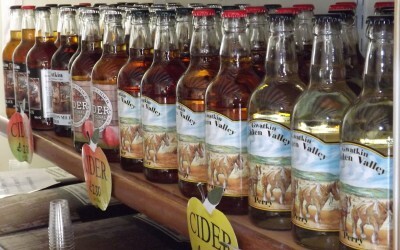 Set in the rolling hills of the Golden Valley, our farm shop stocks our entire range of 35 ciders and perries, subject to seasonal availability, along with a selection of local beers.